I hesitate to spend money on lamps because it seems like I get so tired of them so quickly. Over the years I’ve gotten into the habit of re-covering my existing lampshades rather than buying new ones entirely. It’s a nice way to match my seasonal decor perfectly (fabric choices seem to be way more abundant than pre-existing lampshades anyway). 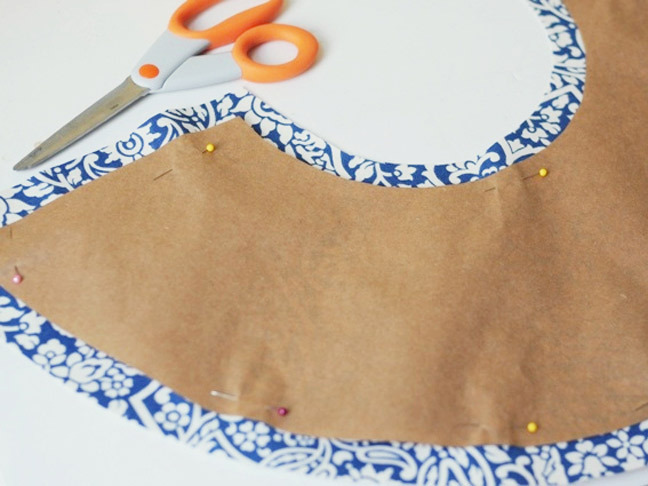 Plus, it’s super easy; there’s no sewing involved. All you need are a few simple household items. 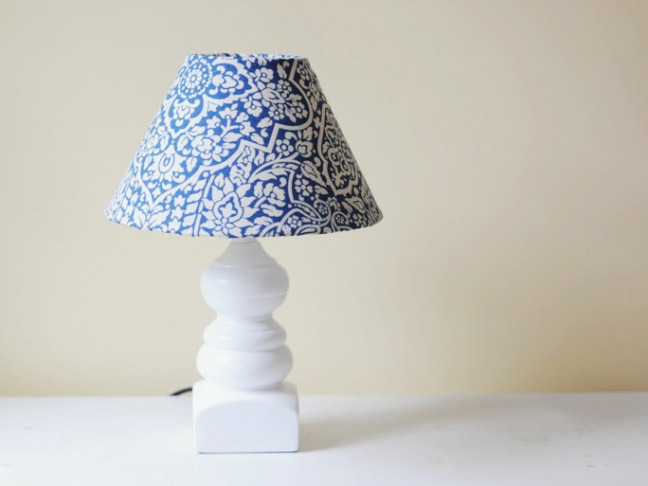 After you make your own lampshade cover, you may end up covering every shade in your home. 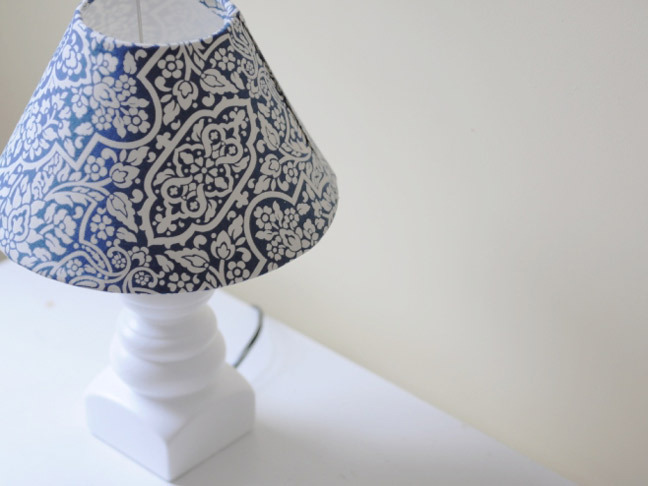 Step 1: First, you’ll need to make a pattern for your lampshade cover. Lay a large piece of kraft paper or wrapping paper on the floor or on top of your dining room table, and place the lampshade seam side down onto the paper. 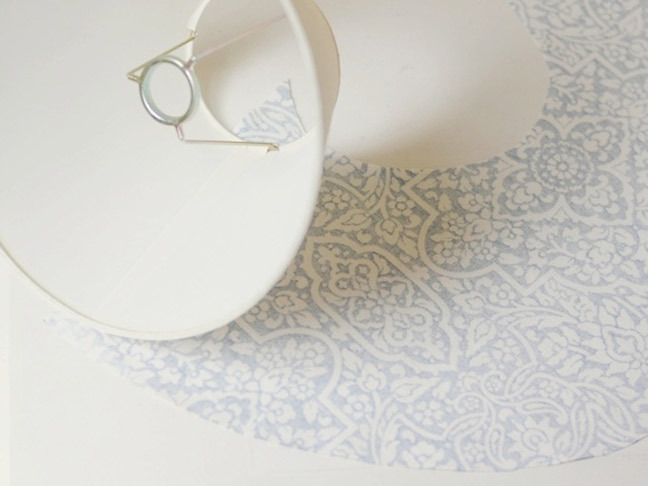 Starting at the seam, slowly roll the lampshade over the paper, tracing both the top and bottom of the shade with a pen or pencil onto the paper as you roll the shade. Continue to roll and trace the shade until you reach the seam again. 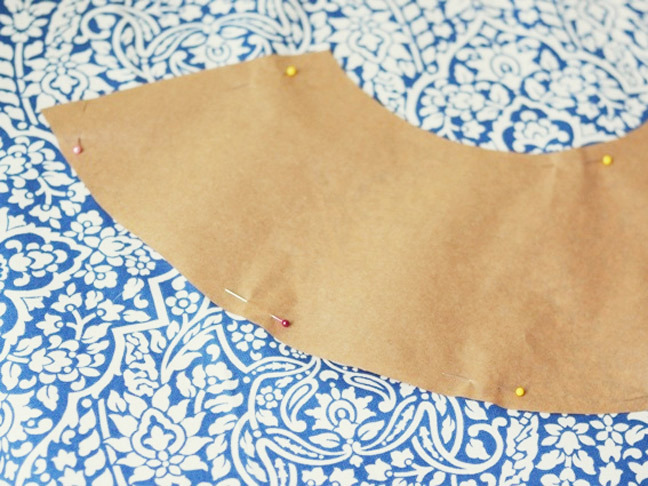 Step 3: Adding about an inch to the edges of the pattern, cut the pattern out carefully from the fabric. Step 4: Lay your fabric wrong side up on a table. 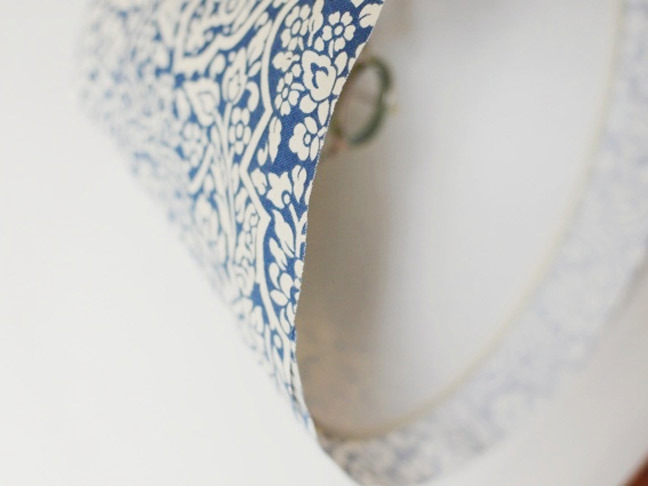 Using fabric glue, draw a line of glue down the seam of your lampshade; place the lampshade down onto the fabric and smooth the fabric over the seam. Then, draw a line of glue around the outside top and bottom of the lampshade and slowly roll your shade over the fabric, making sure to smooth down the fabric as you go to ensure that it sticks to the glue on the shade without wrinkling. Step 4:. Once the shade is covered with the fabric, glue the seam down and smooth shut. 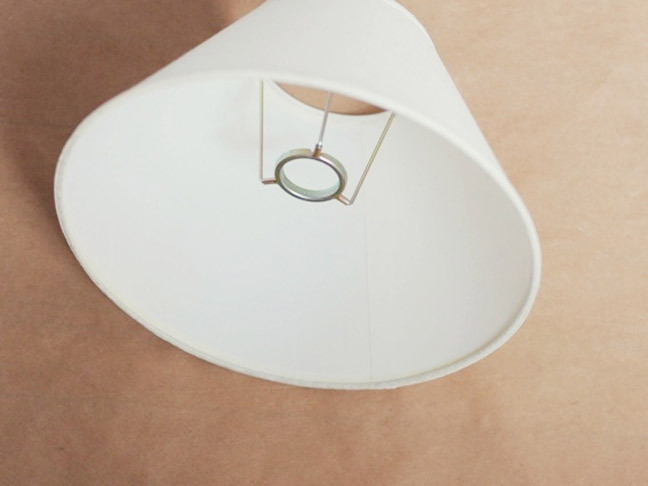 Step 5: Draw a bead of glue around the inside top of the lampshade and turn the extra fabric down into the inside of the top of the shade to adhere to the glue. 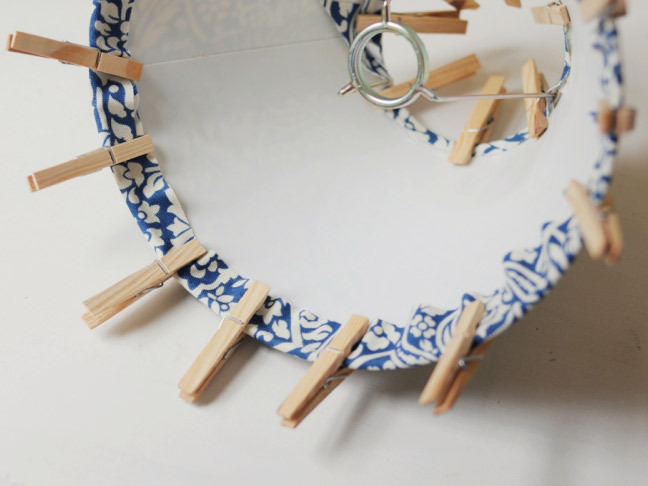 Use wooden clothespins to hold the fabric down while it dries. Repeat this for the bottom inside of the shade. Let the glue dry with the clothespins intact. Step 6: Remove the clothespins and put the lampshade on your lamp.